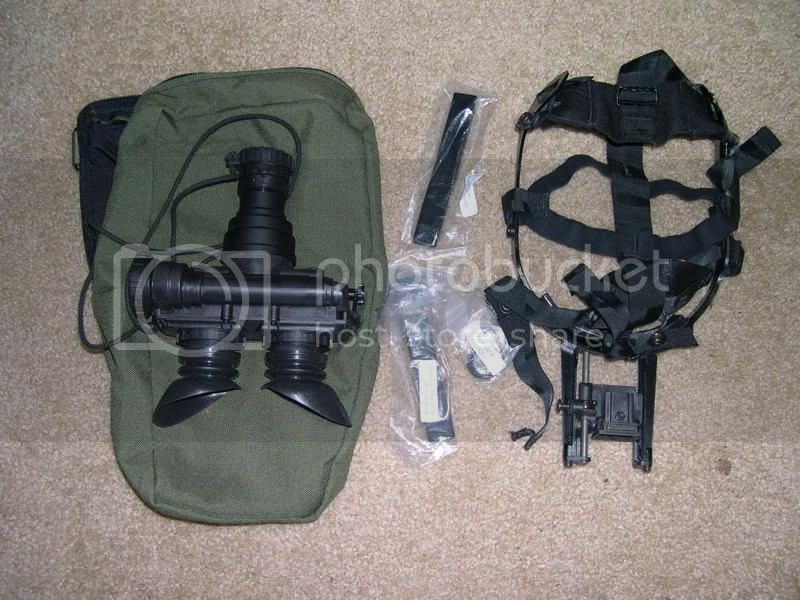 AN/PVS-7b/d gen 3 select alpha ITT tube excellent clarity and brightness These actually look better than my AN/PVS-14 Pinnacle goggles but I need to sell these to fund another night vision purchase. Comes with all paper work, head mount, extra demist shields, and brow pads. Never used this outside just tested it so less than 30 min having batteries in them and less that 10 min turned on. The head mount has never been used or out of the bag. I was told that this is a mil spec unit and tube when I purchased this and I paid a premium for it! I'll take it per our trade agreement.